Hurricanes Harvey and Irma have demonstrated the increasing frequency and magnitude of extreme weather events. As private and public actors adapt, the expansion of available technological tools promise to help them to map disasters more accurately and respond more effectively. The response to Hurricane Harvey has illustrated how drones are now ubiquitous in assessing property damage done by natural catastrophes. The insurance industry has led the way, either through contractors or with their own fleets. In Texas, Allstate’s drones alone have been flying hundreds of flights a day. Once the wind drops, drones are naturally suited to assessing damage in inaccessible places, including hazardous environments such as the stricken Arkema chemical plant. The scale of the destruction from such massive storms can overwhelm claims assessors on foot. Commercial drones, armed with an array of sensors and live data streams, can cover ground more quickly and cheaply, helping insurers to cope with the volume of claims, reduce fraud and pay out quicker. However, drones can only fly in relatively clear weather, and private operators are confined to designated zones to ensure that the emergency response is not compromised. For these reasons, commercial drones could not fly for days after the skies cleared over Houston. New satellite technology offers tools to overcome these limitations. The remote sensing industry is being transformed by the exponential growth of operational smallsats (satellites weighing under 500kg) and the development of a specialist analytics industry to exploit them. These constellations of shoebox-sized eyes in the sky provide more timely coverage due to their high-revisit rates, imaging the same area within days rather than months. Within five years, new data is set to be available again within hours, after being processed using machine learning. Like drones, smallsats can be used for claims assessment, but weather forecasting could benefit too. 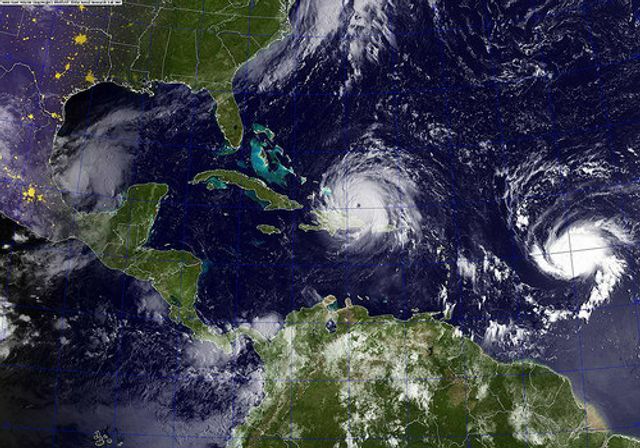 Two operators have recently been awarded contracts to collect more timely weather data for the US’ National Oceanic and Atmospheric Administration, augmenting NASA’s own planned launches. Optical satellites can’t see through the clouds, but all-weather smallsats are primed for launch later this year. Synthetic Aperture Radar (SAR) was previously the reserve of large, expensive satellites, but the new constellations will expand the availability of data on soil moisture, flood boundaries and a range of other indicators. These new industries offer the possibility of richer data to inform modelling, claims handling and disaster response by increasing the frequency and capability of data available to those who need it. For the insurance industry, this presents an opportunity to ease the claims process and assess damage more accurately, reducing costs and helping affected policyholders get back on their feet.